Come and join us for our monthly Rise-n-Shine gathering! If you’re a Villa Rica business looking to get plugged into the community for 2019, come and meet new people and local business owners. 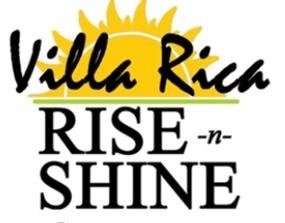 Rise-n-Shine normally takes place the third Wednesday of the month at Uncorked on Main located at 129 Main Street in historic downtown Villa Rica. Networking begins at 8:15 am and includes light refreshments and door prizes! Don’t miss it!